This “little” beauty is coming to market thanks to the feedback from our amazing FB and blog readers. Any guesses what this might be? One thing I love about the end of the year is the opportunity to look back over the past year in review and record the highlights and favorite moments. 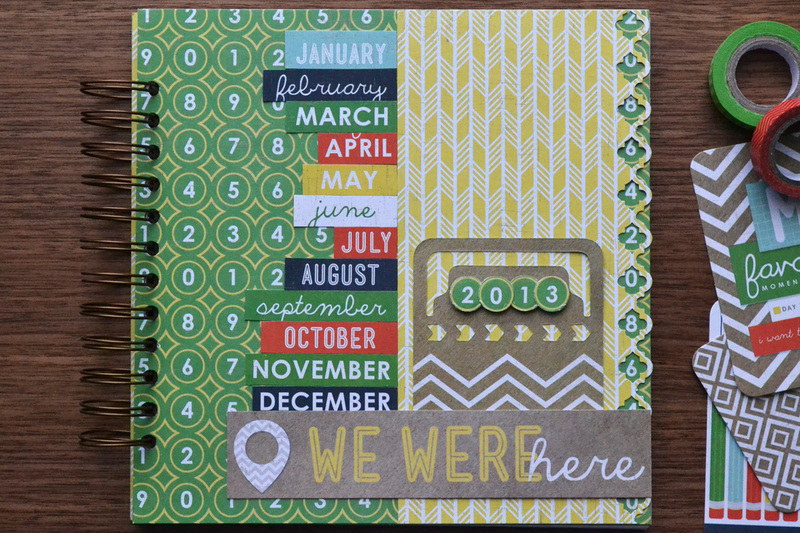 I always like to scrapbook those moments in comparison somehow, and this year I decided to create a 2013 Year-In-Review Cinch book. 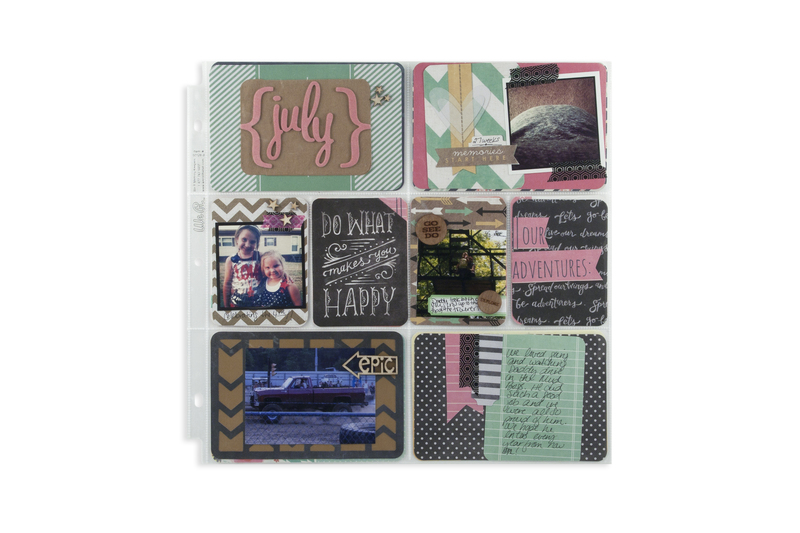 The Notable collection was perfect for a year in review project, and the coordinating Albums Made Easy cards made for easy accents. I decorated some edges with the Trellis 2 Edge Punch to add some interest. 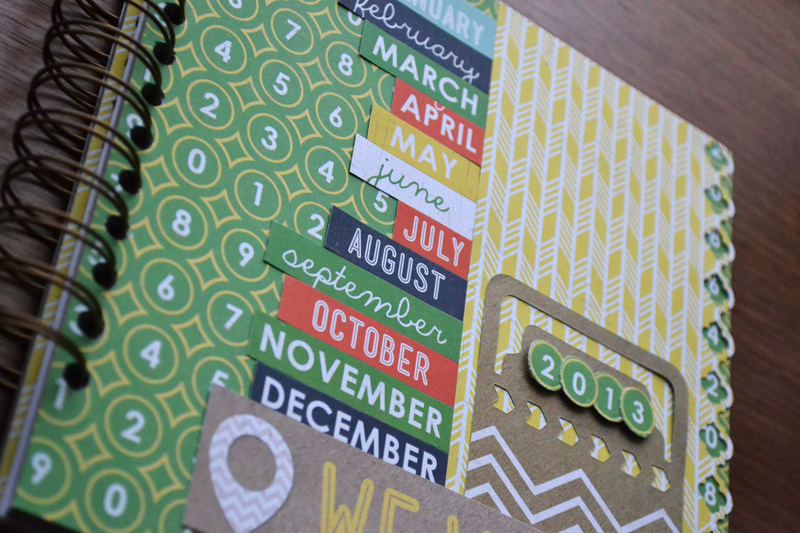 I used some 8×8 chipboard and created a separate spread for each month. The easiest way to find photos and events for this project was to turn to my social media accounts–everything’s already organized by months! I gathered my favorite Instagram photos from each month and made a photo collage using Picasa, Google’s free photo editing software. 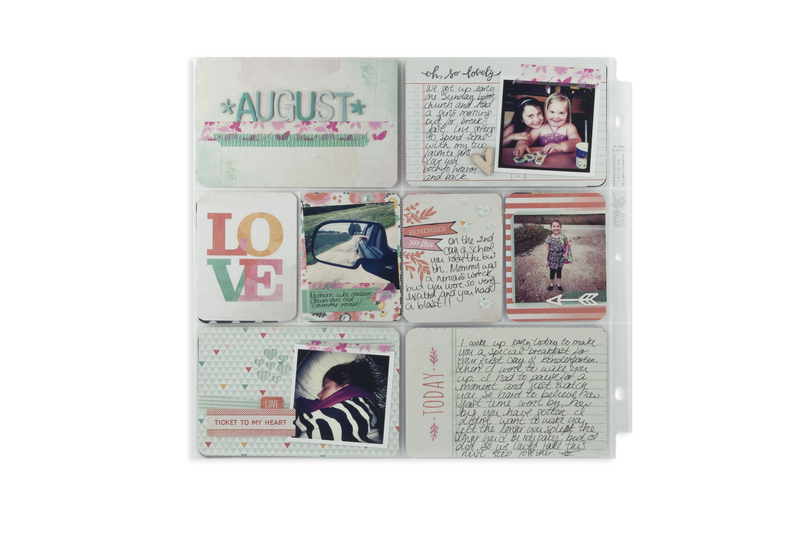 Then I printed the 8×8 collages as 8×10 enlargements, trimming the excess, and used them as one side of each spread. For my journaling I cut and pasted some of my Facebook status updates from each month, printed them, and added them to the opposite side of each spread. 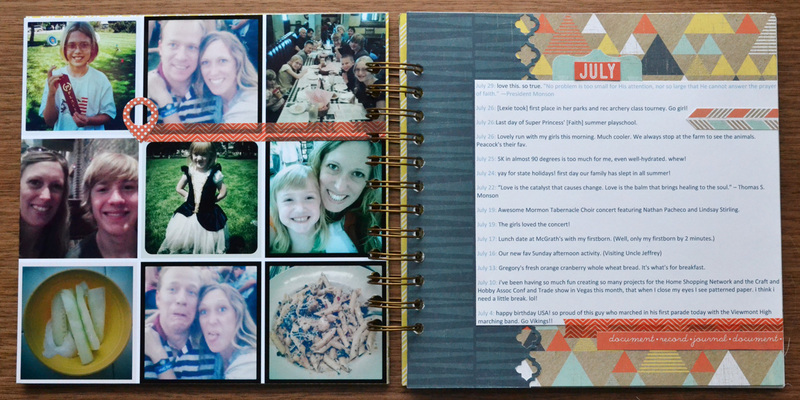 The Notable papers with their fun bold colors coordinate well with all the different photos. With so many different colors and photos I kept the design simple and repeated it throughout the album, adding a cohesive feel. 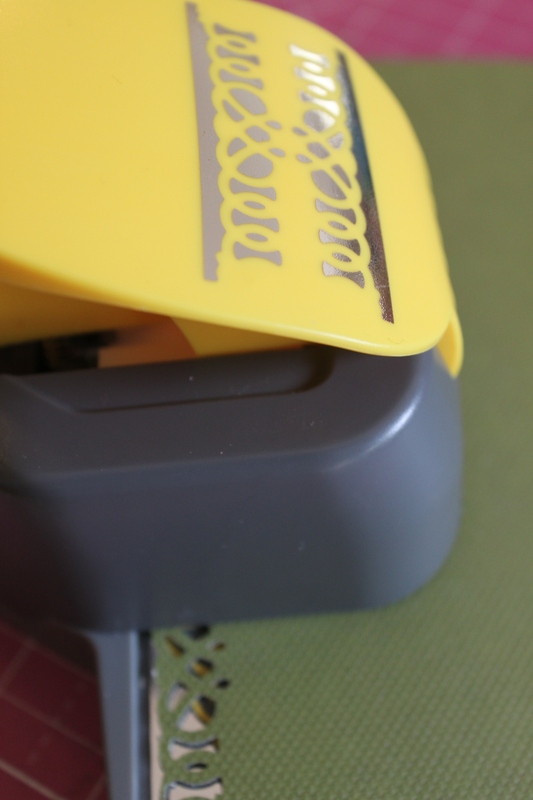 Then I bound it all together with my Cinch binding tool. As far as mini books go, this project was quick and easy, but I’m so happy with the result. 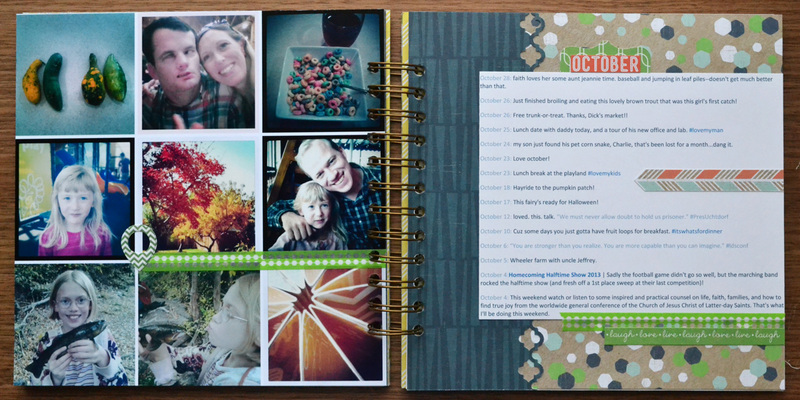 It’s so fun to browse through this and look back over our year as recorded in my social media. 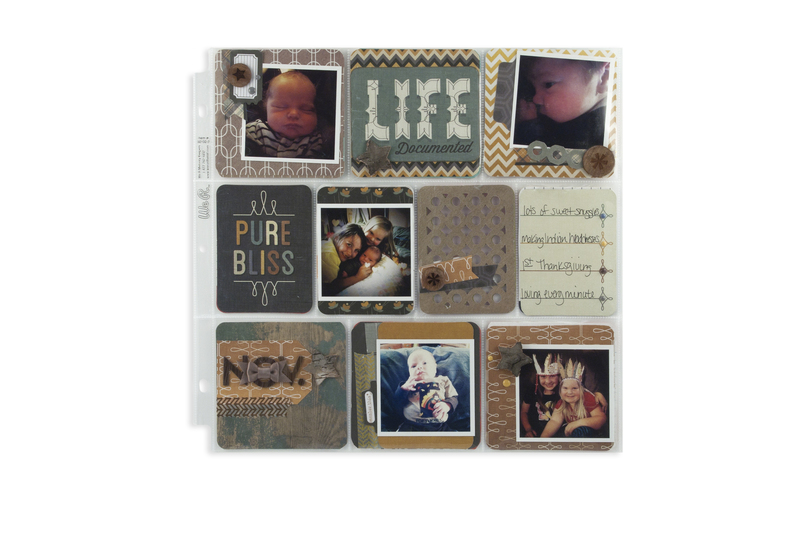 As 2013 comes to a close create an album that celebrates the best of this year! Draw some inspiration from these great Albums Made Easy pages! The next adventure for We R is CHA, which is literally just around the corner. I know a lot of manufactures are letting the cat out of the bag early, but we aren’t going to. 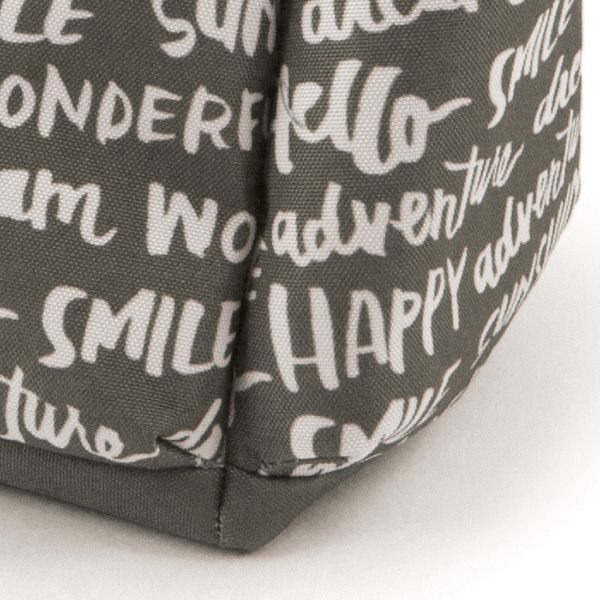 We will make our big product reveal when the show starts on January 10th, but this week we’ll show you some sneak peaks. Can you guess what We R is coming out with? Here is a clue: We have five and we’ll be adding six very soon. 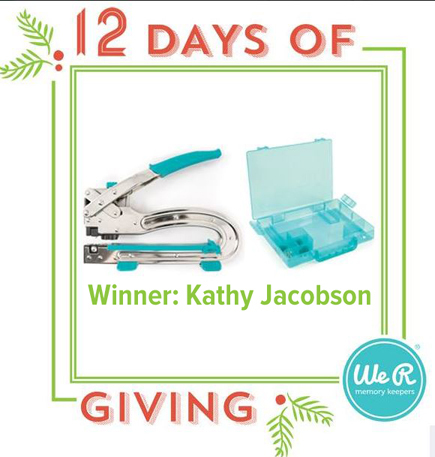 Congratulations to Kathy Jacobson the winner of the Big Bite! Email ali@weronthenet.com today to claim your prize! Thank you to everyone who participated and made our 12 Days of Giving such a huge event! We love our readers and followers! 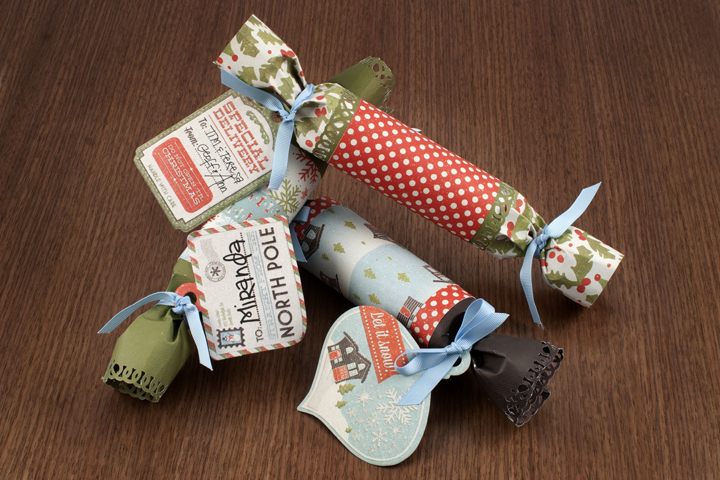 Create some festive Christmas Crackers for your New Years Party. 1. 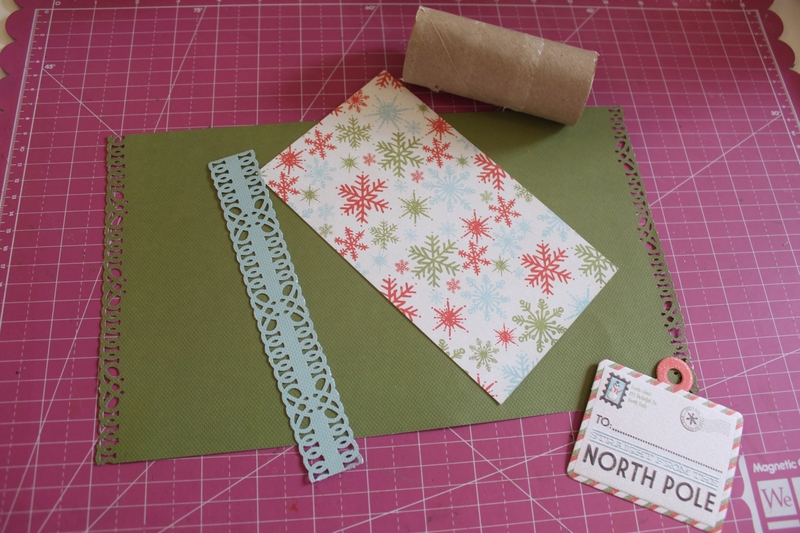 Cut a piece of cardstock 12”x 7” Punch each end with Loop 2 edge punch, to create a decorative edge. 2. 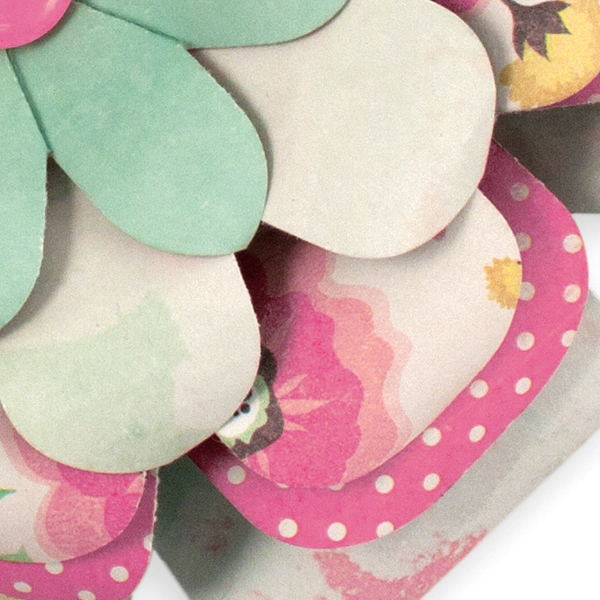 To create center piece-cut a piece of patterned paper 4”x7” and punch a border with the Loop 2 edge punch in a contrasting cardstock, then adhere to center of 4”x7” patterned paper. 3. Center and adhere centerpiece to cardstock base. 5. 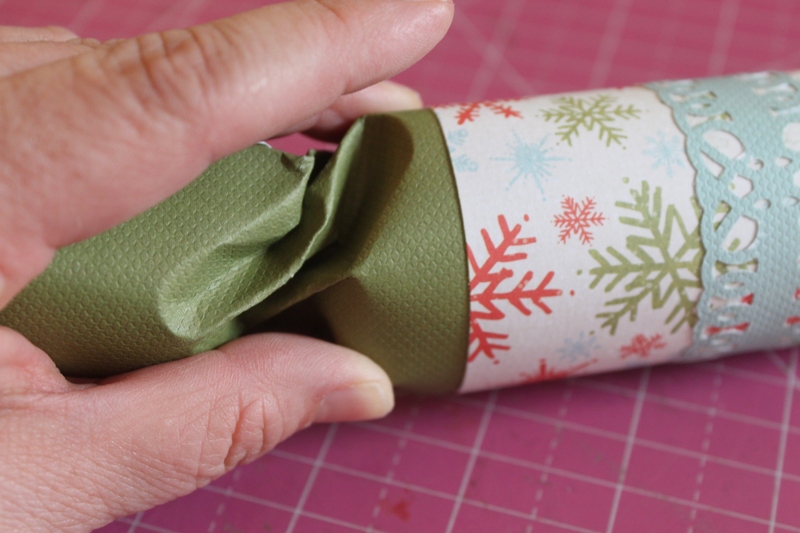 Gently twist and push one end of cardstock into roll and tie with ribbon, fill tube with treats or little gifties, then repeat the twist and push technique on the opposite end. 6. 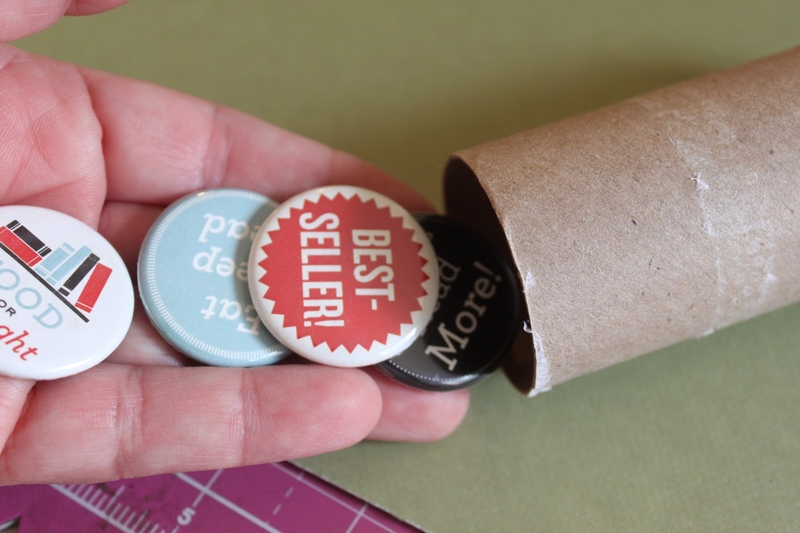 Label and tie on an embossed tag! Christmas Day is always such a fun and exciting time that seems to fly by in a whirlwind of awesome memories that I often forget to photograph. So, I decided to record our Christmas celebrations this month using photos taken before the big day and include some journaling about our Christmas Day activities. 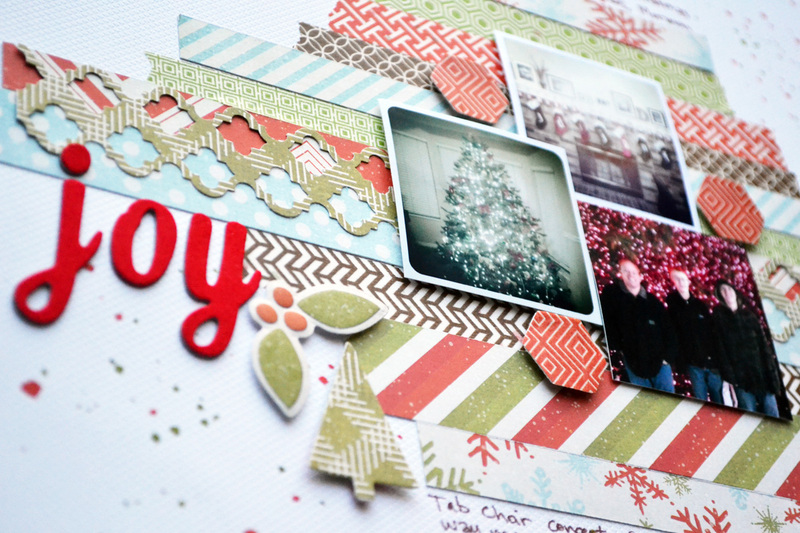 Since this season is so busy, I saved myself some time by using one of my go-to design techniques—layered strips. 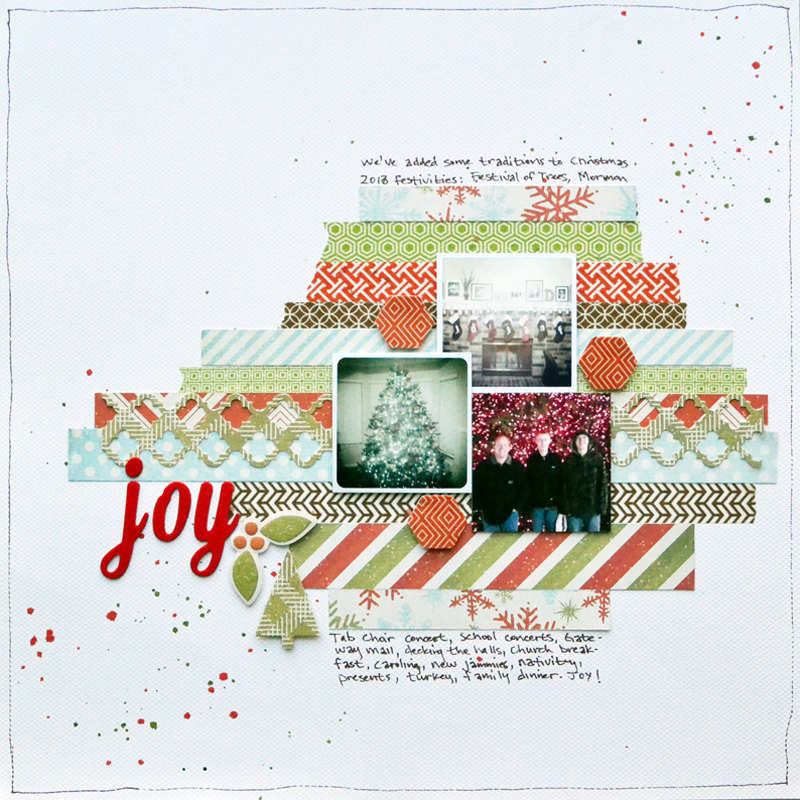 I gathered some washi tape that coordinates with paper strips from the North Pole collection, punched one with my Trellis 2Edge Punch, and layered varying lengths to create my background. 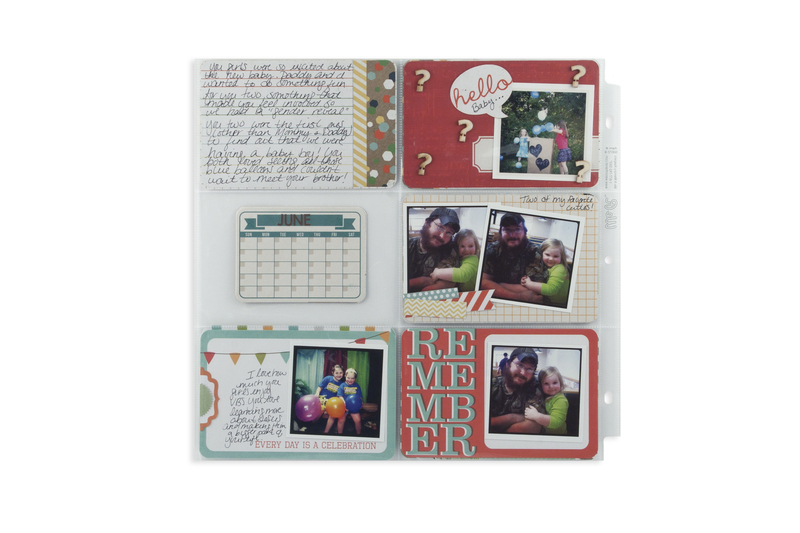 photos and get scrapping. Crafty cheers! 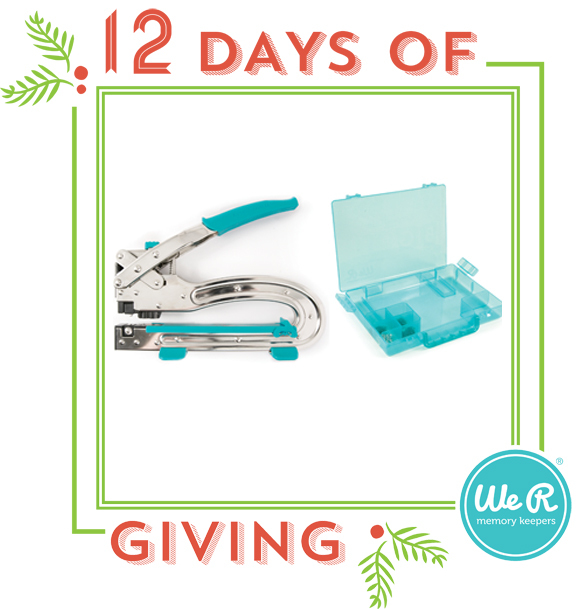 Enter the last 12 Days of Giving Giveaway. This time you have the chance to win a Crop-A-Dile Big Bite. Enter as many times as you want and share it with your friends so they can join in the fun also. 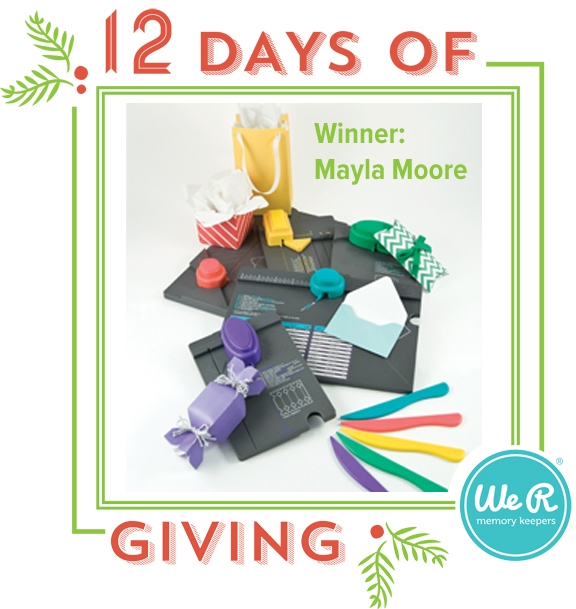 Congrats to Mayla Moore, the winner of all five Punch Boards from We R. Mayla please email us your address (ali@weronthenet.com) by 12/30. You asked for another spectacular giveaway and we are here to deliver. 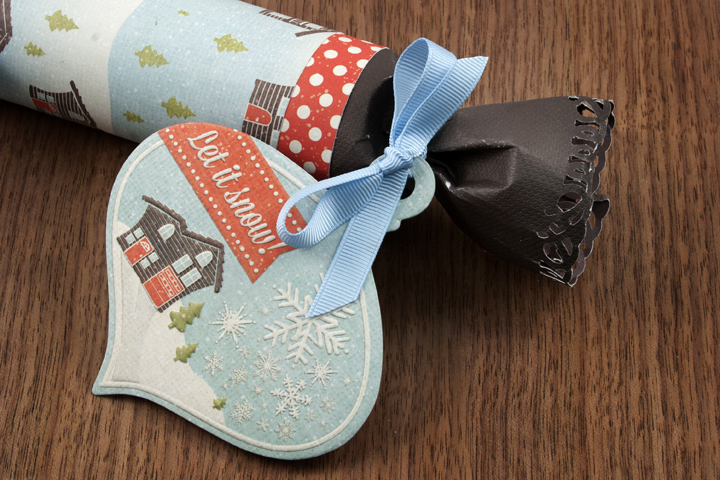 Win ALL FIVE PUNCH BOARDS from We R.
Enter as many times as you want within the next 24 hours. Share it with your friends and get more entries. It’s that simple.